What makes a blog post brilliant? A brilliant blog post is accurate, original, authoritative, and is written in a way that makes the reader want to come back for more. It is even better if the content you have written motivates people to comment, share, or answer your CTA. 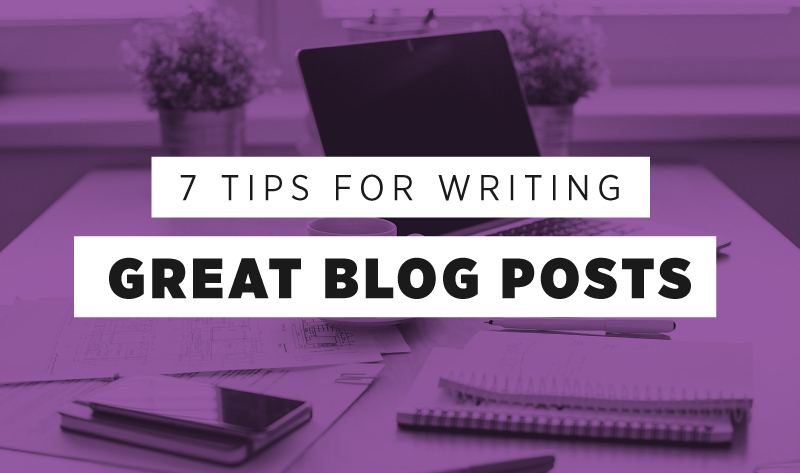 If you want your blog posts to be truly brilliant, check out these 7 tips. Yes, optimization is important. There are hundreds of brilliant articles on the topic of optimization with lots of great advice on improving your SERP positioning. You should follow that advice. However, when you sit down to write your blog posts, you will be doing yourself and your readers a disservice if every thought you have must got through some sort of optimization filter before you put it down on the page. Focus on writing that is credible, informative, engaging, and that reflects your expertise. Then, tweak your writing for optimization. Using an optimization first strategy might get you better search engine results at first. However, it is the quality of content that will result in the shares, engagement, and external, inbound links that really get your content the attention it deserves. Before you release any blog post to the public, you should perform three different checks. First, is it factually accurate. Ask yourself if every source you have used is up to date and reliable. Have you double checked statistics that you are using? Are you getting your information from personal experience or as close to the original source as possible? Second, is your spelling and grammar on point? Don’t simply rely on your word processor to tell you so. Read and reread your content so that you avoid writing word fails, awkward phrasing, and embarrassing technical mistakes. The third and final check to perform is branding and sincerity. Does the topic you have selected, your writing style, your target audience, and position complement your personal or company branding? Will your readers find your writing consistent and sincere? There’s nothing inherently wrong with tackling a topic that you don’t normally address, nor is there anything wrong with taking a position that contradicts an earlier one. Just be aware that your readers will notice, and will want to know why. Fail to answer that question, and you risk appearing disingenuous or hypocritical. On any given day, your blog posts will be accessed by different people, at different times, for different reasons, using a variety of devices. Some will want relatively short posts that are broken up with lots of space that they can skim using their mobile devices. Others will be interested in long posts that contain lots of detailed information. Some of your readers will be drawn to content that is heavy on visuals, while others prefer mostly text. Remember that you may also be writing for readers with varying levels of expertise. Make sure you know who your readers are and what they want. Then, make an effort to provide a little something for everybody in terms of length, format, and content. Many of your readers are going to come to you because they have a problem that needs to be solved, or they need to gain knowledge about a particular subject. The more useful your content is to them, the more likely they are to share your posts and answer your call to action. If your readers will be able to do something they could not do before, solve a problem they’ve been struggling with, or will gain knowledge that they can use in the future, you’ve written a great blog post. This is why ‘how to’ posts are some of the most popular and engaging blog posts that you can create. Remember that you are writing a blog post and not academic text. Write in a way that draws the reader in and makes them feel as if you are addressing them directly in as sincere a manner as possible. Don’t use big words, jargon, and overblown terminology in an attempt to sell your expertise. On the other hand, don’t dumb things down to the point that your readers feel as if you are patronizing them. Instead, take the time to get to know your audience and communicate with them in a way that they find relatable. One very useful technique is to use words such as you, we, and our in your posts. This makes your readers feel as if they are being addressed directly, which helps you to establish a positive relationship with them. There are so many great tools and apps that you can use to really make your blog content amazing. If you want to catch your reader’s attention with great visual content such as embedded videos, GIFs, and infographics, there are a wealth of tools that can help you accomplish that. If you want to write about trending topics, try one of the many headline aggregators that will connect you with the top stories in a variety of niches. If you are unsure about the quality of your writing, there are tools that can help you improve your writing in ways that go well beyond simple spelling and grammar checks. There are even tools that can help you automate the process of publishing and promoting your blogs.